Cranberry delivers powerful antioxidants and a high bioactivity. For holistic urinary tract health, try Natural Cranberry Fruit Extract 500mg. ** This one per day cranberry extract formula is 25,000mg equivalent per capsule. Each dose provides the natural benefits of the whole cranberry without any preservatives, sugars, water, flavoring or color. Natural Cranberry Fruit Extract 500mg is rated 5.0 out of 5 by 18. Rated 5 out of 5 by SouthernChild864 from Great product I hate cranberry juice, so this is a great alternative. Rated 5 out of 5 by jan6 from good value online offers, excellent value, good ratings and convenience also high quality. Rated 5 out of 5 by Db56 from So thankfully for pill form Cranberry juice is bitter. Being pre-diabetic the sweetened type wasn't an option. So pleased to discover a pill form. Rated 5 out of 5 by Anonymous from Great Cranberry I've been using this brand of cranberry for years now and will continue to do so. 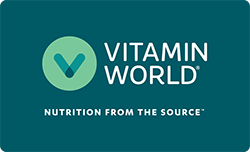 Great quality, great price and easy order and delivery from vitamin world. Rated 5 out of 5 by diana from excellent product I have been using this product for years. It is excellent and does not have any soybean oil like the soft gels. I am frustrated because it has been on back order online and in stores for several months. No other product compares. Rated 5 out of 5 by Anonymous from Excellent product. Very happy with this product and the cost. Rated 5 out of 5 by Demo2000 from Good to go... ...really tune up urinary functions!